The production and quality of Australian wines flourished with the arrival of free settlers from various parts of Europe, who used their skills and knowledge to establish some of Australia’s premier wine regions. Early Australian winemakers faced many difficulties, particularly due to the unfamiliar Australian climate, but eventually achieved considerable success. The country has no native grapes, and Vitis vinifera varieties were introduced from Europe and South Africa in the late 18th and early 19th centuries. Major grape varieties include Shiraz, Cabernet Sauvignon, Merlot, Chardonnay, Sauvignon Blanc, Semillion, and Riesling. Although Syrah was originally called Shiraz in Australia and Syrah elsewhere, its dramatic commercial success has led many Syrah producers around the world to label their wine “Shiraz.” Today, Australia is the fourth-largest exporter of wine in the world. Wine Spectator rating of 90 points. Generous, focusing its blackberry and black pepper flavors on a tight, crisp frame, lingering well on the expressive finish. 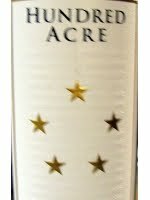 (94 Points) Supple, ripe and generous with its blueberry, plum and mocha flavors, riding easily over finely wrought tannins and extending into the long, expressive finish. Rich, complex and evocative, this has plenty of flavor packed into the bottle! Deep blood-red, dense core color. 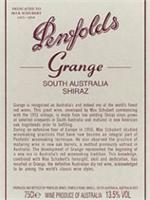 On the nose, very Penfolds, very Barossa, very Grange! Alluringly, a plush satin/cashmere mouthfeel compounds the initial confusion – accessible, yet poised to evolve and complex over many decades. 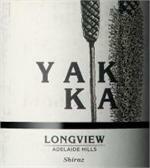 A blend of 50% Shiraz, 34% Cabernet Sauvignon & 16% Merlot from selected Barossa vineyards. 91 Points Robert Parker. 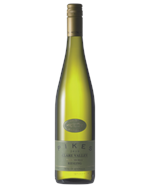 "Pikes- 2013 Traditionale Riesling is light straw-colored with an enticing nose of mineral, lemon-lime, citrus, and floral notes. 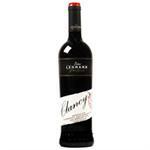 Ripe, exceptionally concentrated, and vibrant on the palate, it has the acid structure to evolve. 95 Points. Palish colour, restrained, shy nose. Traces of green herbs, but not offering a lot of aroma at this stage. Juicy palate with loads of fruit, and the merest trace of sweetness leading into a clean finish. Harmonious acidity. Excellent wine! Only once in the last five years has the Wine Spectator rated a chardonnay this high that had a list price lower than $10. That one was a 2005 vintage chardonnay from Washington State that sold for $9. Wine Advocate rating of 92 points. Deep garnet-purple color and is scented of warm cassis, lifted blackberry, mocha and a touch of mint.